Stan Lee, writer and co-creator of Spider-Man, Hulk, Fantastic Four, X-Men, Ironman, Thor, and other superheroes has passed yesterday 12 Nov 2018. He was 95. “I used to think what I did was not very important. People are building bridges and engaging in medical research, and here I was doing stories about fictional people who do extraordinary, crazy things and wear costumes. But I suppose I have come to realize that entertainment is not easily dismissed.” Stan Lee, 2014. It takes a special kind of vision to dedicate a life only to designing imaginary worlds. Stan Lee has used writing to reshape the ancient human archetypes into a pop culture superheroes – thus proving again that abstract values, imagination, religion, culture, and emotion, triggered by content, play one of the most important roles in our lives. We are not machines that make calculated and hard decisions, but unbelievably chaotic individuals who can only be motivated by extreme creativity. 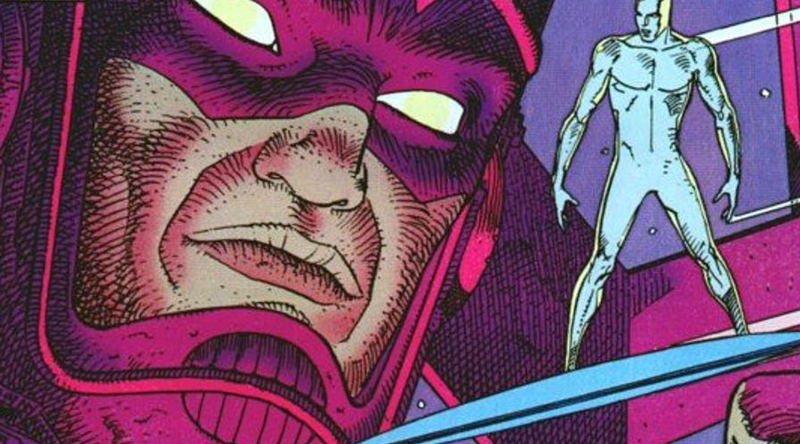 PS Moebius Silver Surfer wins.